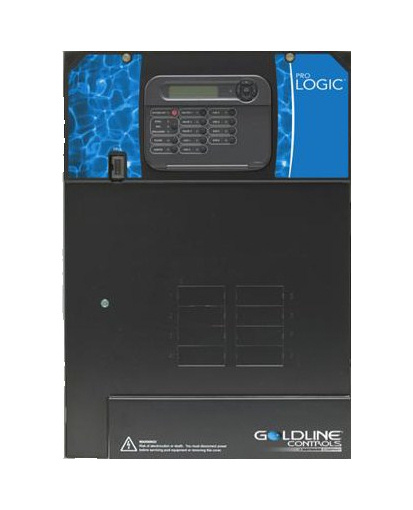 Every Aqua Logic system includes a main control unit with a 100 amp subpanel and a built-in display/keypad for programming directly from the equipment pad. Pool service personnel do not need access to the keypads located inside the house. For the absolute best water quality available, add the electronic chlorine generator function (also known as a salt chlorinator) by simply adding the Chlorinator Option Kit. It automatically produces pure chlorine every day while the pool is being filtered and distributes it evenly throughout the pool via the return jets. This process uses a low concentration of salt dissolved in the pool water (below the level of taste) to produce up to 1.45 lbs of chlorine daily, enough for all residential pools up to 40,000 gallons. For larger pools, additional electronic chlorine generators can be added and controlled by the Aqua Logic. All of the above mentioned optional items may be also be purchased from us.